A refined high-order global-local laminated/sandwich beam theory is developed that satisfies all the kinematic and stress continuity conditions at the layer interfaces and considers effects of the transverse normal stress and transverse flexibility, e.g. for beams with soft cores or drastic material properties changes. The global displacement components, described by polynomial or combinations of polynomial and exponential expressions, are superposed on local ones chosen based on the layerwise or discrete-layer concepts. Furthermore, the non-zero conditions of the shear and normal tractions of the upper and lower surfaces of the beam may also be enforced. In the present C1-continuous shear locking-free finite element model, the number of unknowns is independent of the number of layers. 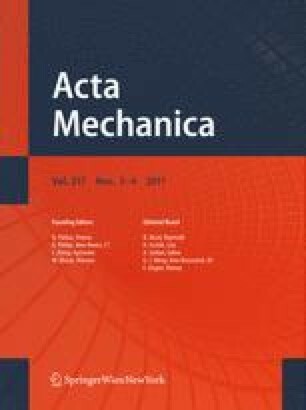 Comparison of present bending and vibration results for thin and thick beams with results of the three-dimensional theory of elasticity reveals efficiency of the present method. Moreover, the proposed model is computationally economic and has a high convergence rate.